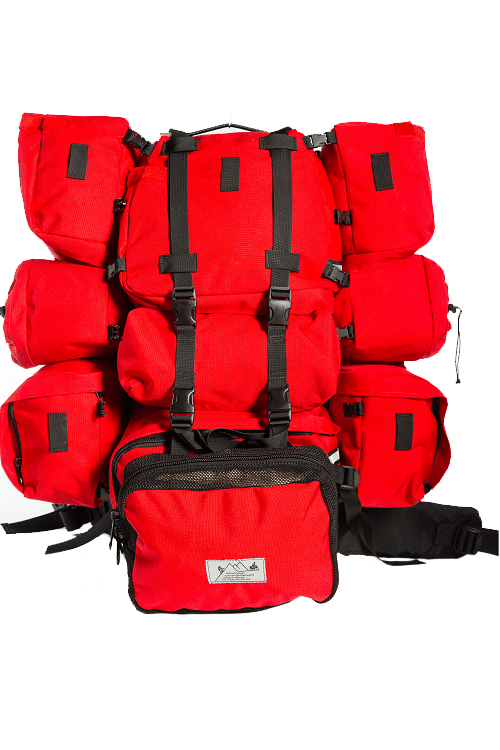 Our Expedition pack is the Elite model. 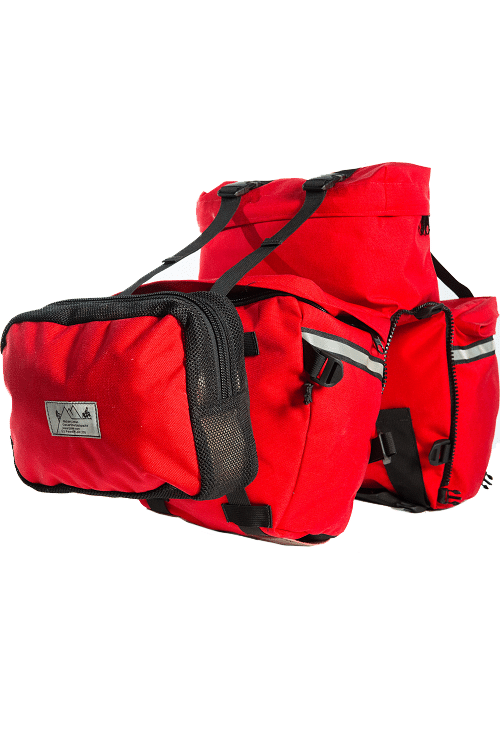 This 3-piece, 6.5 lb. 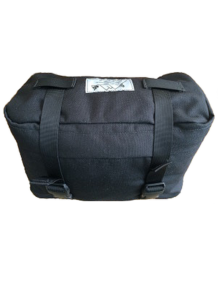 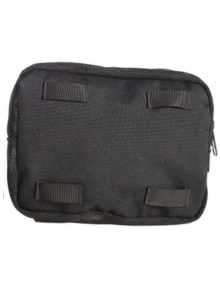 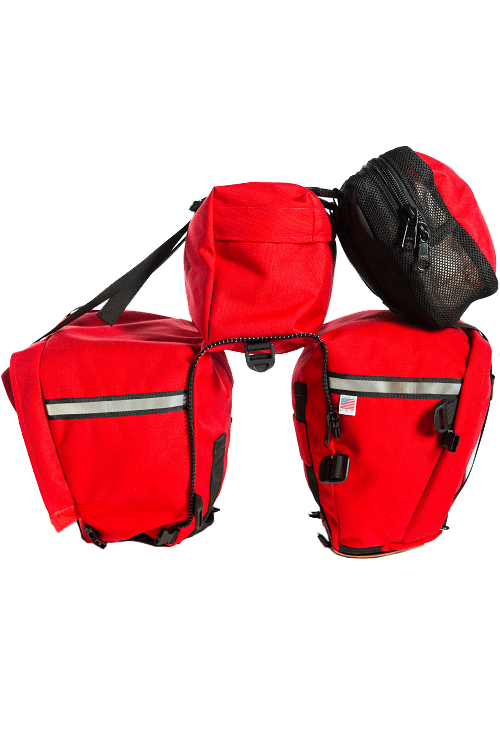 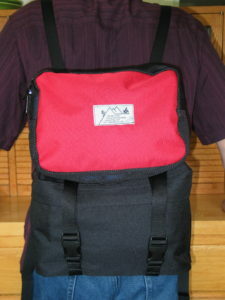 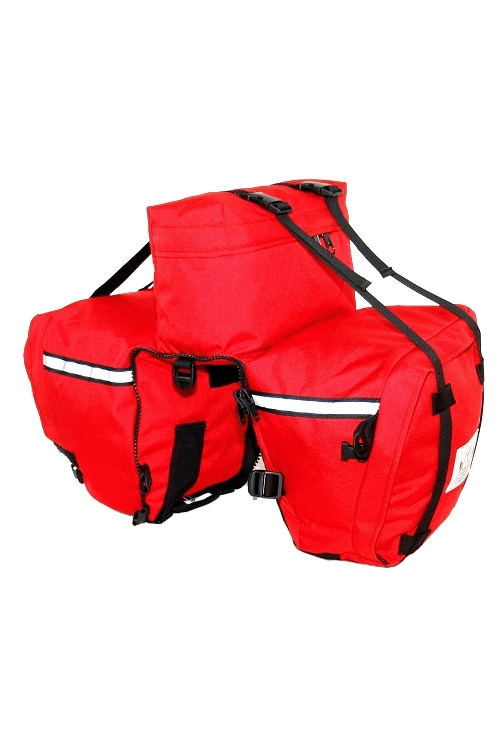 pannier backpack system consists of both front and rear panniers, converting to the internal-frame backpack. 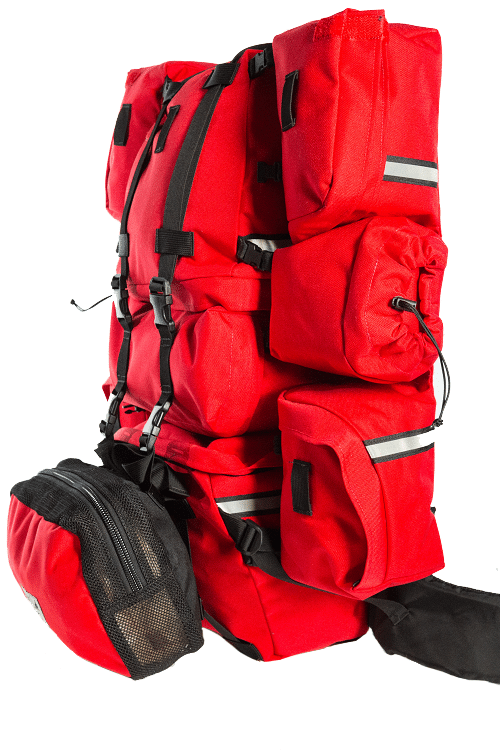 Capacity is 3975 cubic inches (65 liters) of gear in a total of nine compartments, plus a “Piggyback Sack” for the harness or misc gear that should not be crushed, and user-defined external capacity held by the vertical compression straps, which also hold any extraneous gear on the shelves of the rear pannier, and at the top (preferred) or bottom of the backpack. 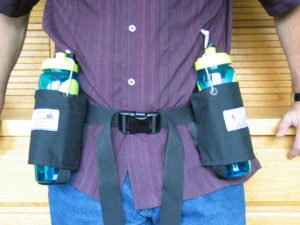 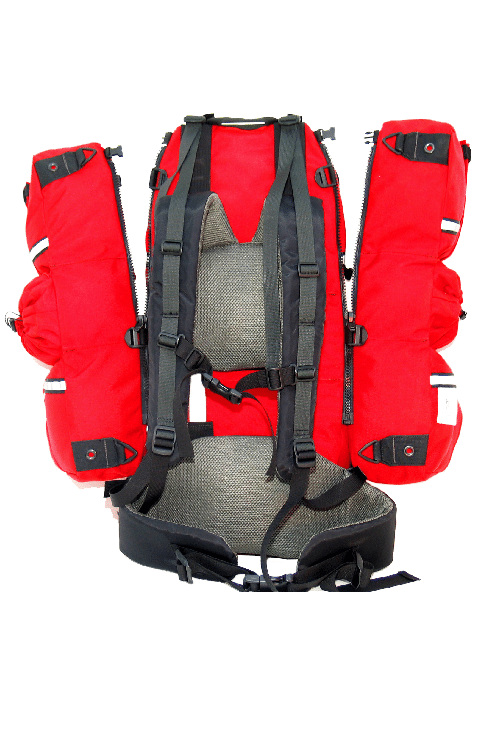 A fully adjustable harness system wraps your shoulders. 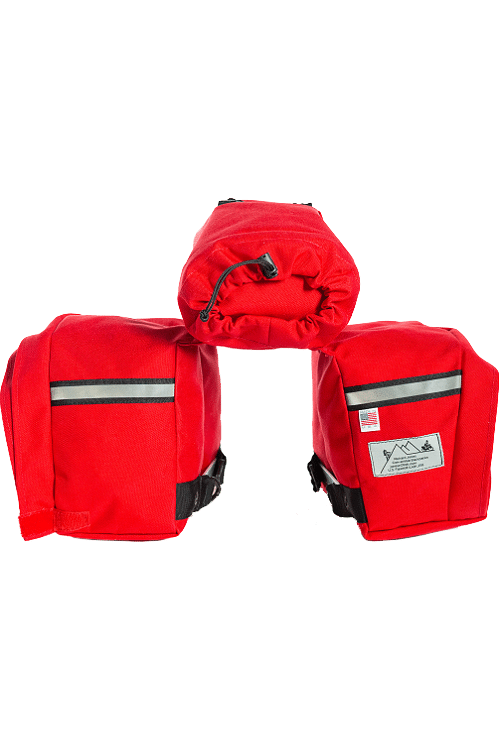 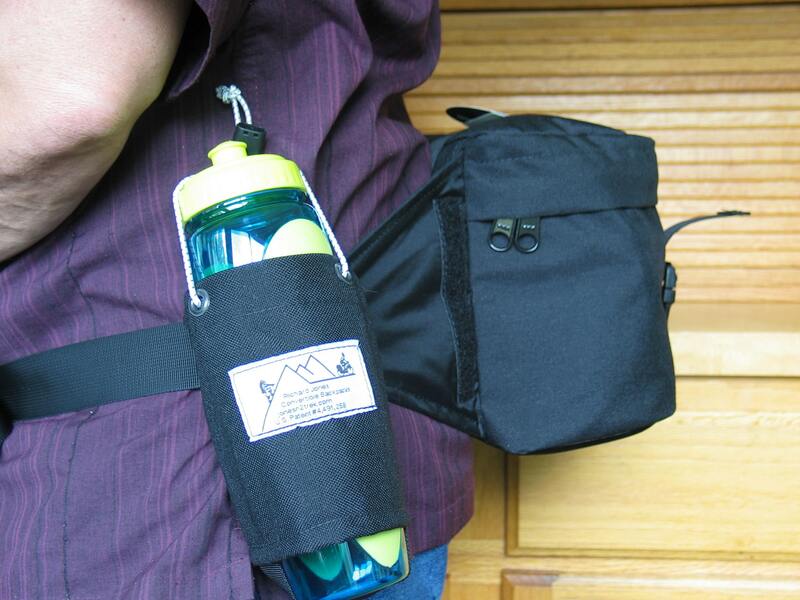 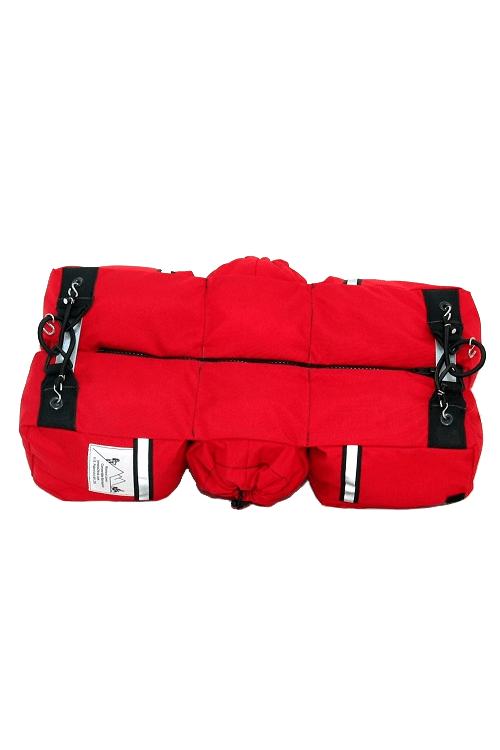 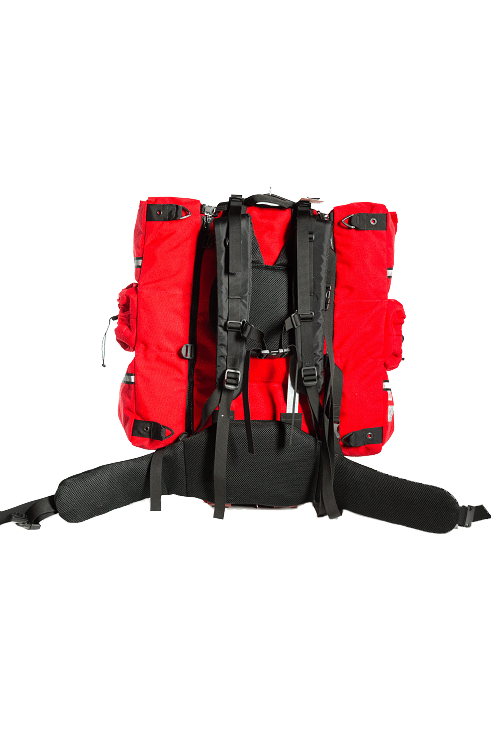 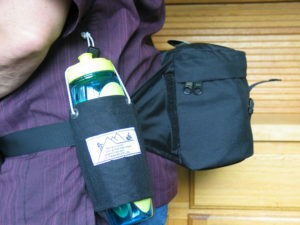 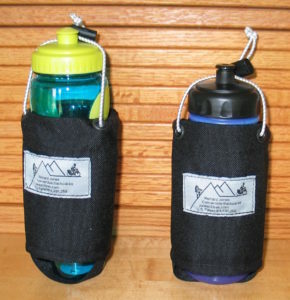 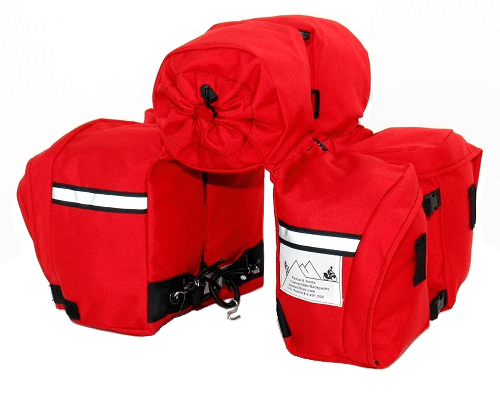 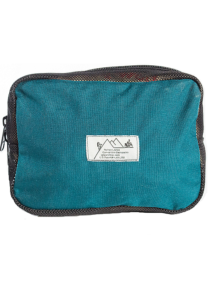 The top stabilizer straps help hold the pack to your back, allowing you to transfer weight to your hips. 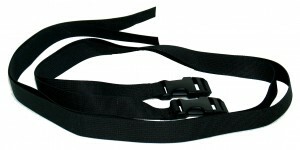 The padded waist belt features angled compression straps for added stability. 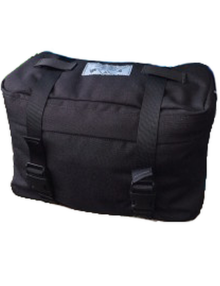 The Elite offers the ultimate in pannier backpack technology to the discerning traveler. 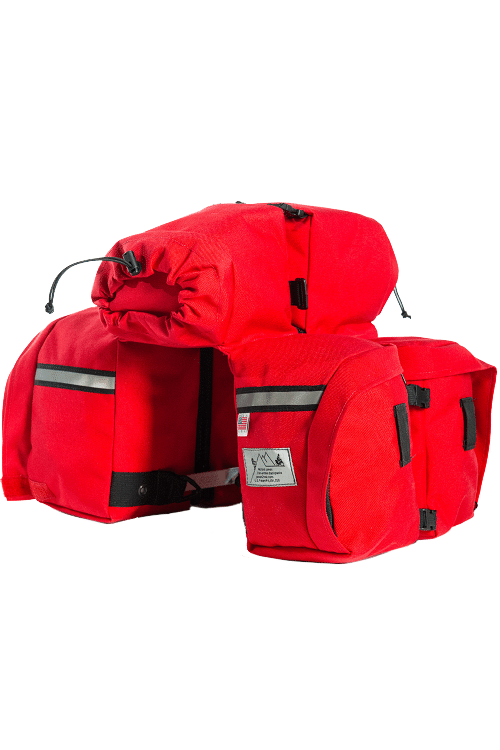 Size: 27" x 22"/12" x 7”/5"
I’m 6200 miles and still going, and the panniers you made for me have worked great! 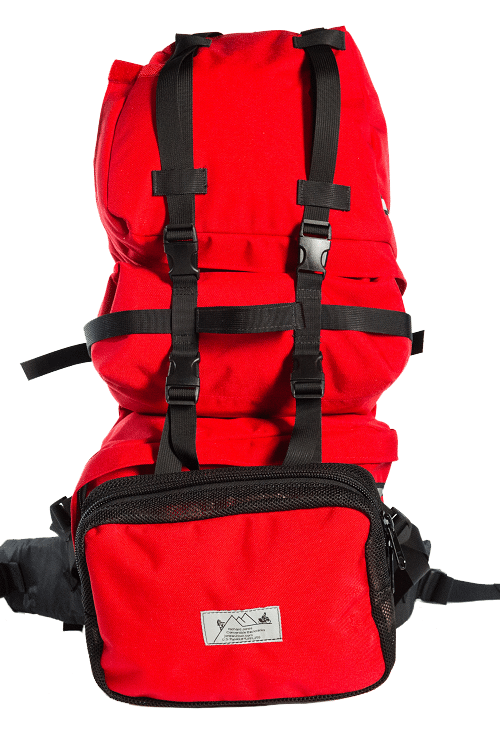 The Convertible Backpack is the finest backpack I have ever used. 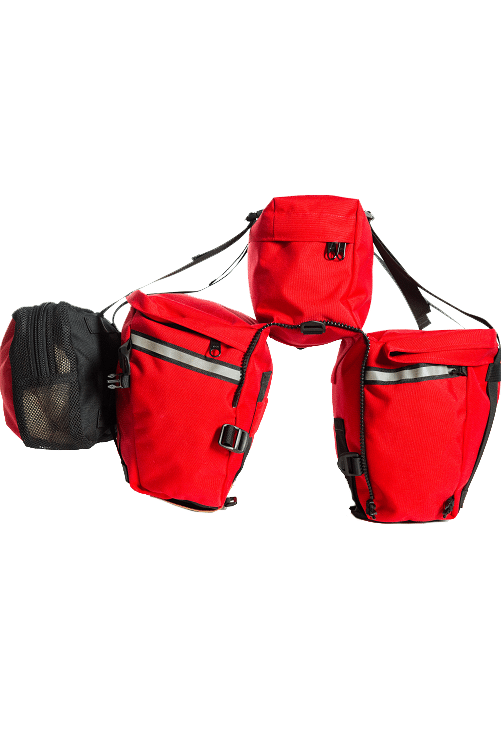 The panniers ride my bike as well as [the backpack] rides my back. 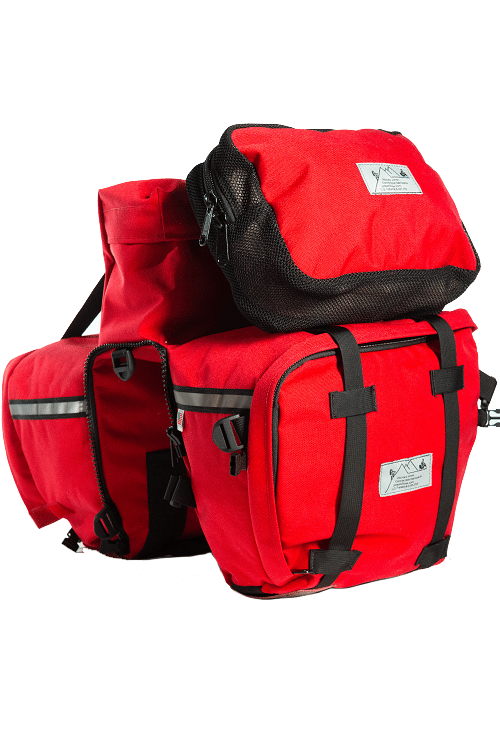 The materials and workmanship are such that it will likely remain the only set of touring panniers I ever own. 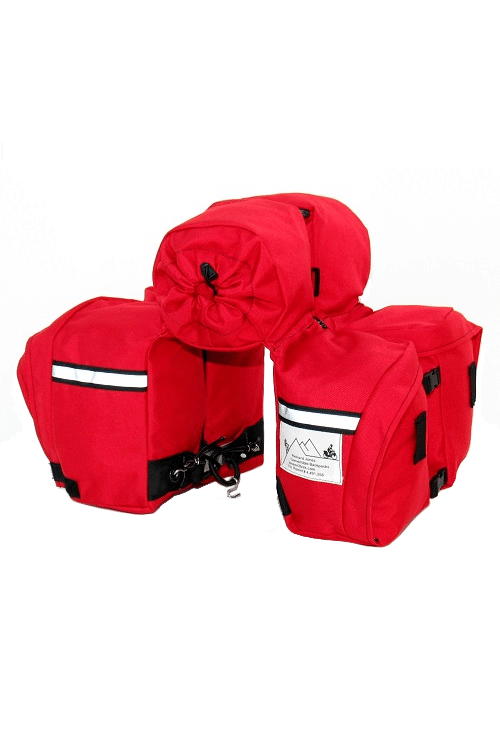 The abundance of fastening points and compression straps allow it to be drawn into a tight, stable package when lightly loaded or expanded to the point of absurdity, particularly on the bike. 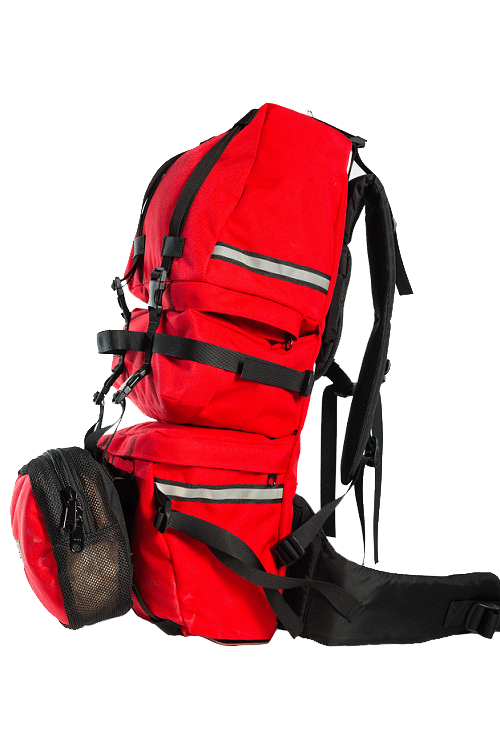 The Piggyback bag mounts to your pack’s compression straps with belt loops, so light loads can be carried without compression.